There has been a few examples over the years of oil based cooling for pcs but nothing geared towards the kit builder. 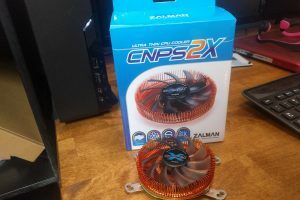 With mainstream mineral oil pc cooling kits cropping up all over the internet I felt I would take a look at what it is and if there is any advantages over PC watercooling. Some of you may just been getting your head around the idea of water cooling your precious hardware, now you have a whole new paradigm in pc cooling to get used to. Submerging your components completely in oil. While you may think its crazy to submerge your pc in oil in order to get some extra degrees knocked off your temperatures but it’s actually a very efficient and safe way to cool your high-end pc components enabling you to hit higher overclocks. How does Oil PC Cooling Work? Mineral oil which is an odorless looks and acts like water but behaves very differently, it ‘diffuses’ heat rather than actively cooling like with air and liquid based solutions. The oil does not have free electrons which have to be present in order to conduct electricity, this means its non-conductive and 100% safe to your hardware regardless of how messy clean up operations can be. Why Choose Oil over Liquid PC Cooling? I feel oil submerged computers are more for hobbyists and PC cooling enthusiasts wanting to try something new, oil is thicker then water so there for does not carry heat away from components as well as water meaning instant cooling power is not there when us overclockers need it. While mineral based pc cooling kits do not conduct heat as well as its water counterpart it does hold a lot of heat and keeps it at a stable temperature once it heats up to a certain point, perfect for server environments where heat is a common problem. Mineral Oil or Water Based PC Cooling? From my own personal experience water based kits do a lot better job of delivering instant heat dissipation, which being a overclocker is perfect for me, however that does not go to say that oil submerged pc cooling does not have its place in the computing community, but from my own perspective I don’t feel that it’s in the overclocking world, . If you are more interested in gaming, overclocking and LAN Parties then I would say avoid submerging your components in oil, it would be far to heavy to easily transport to and from LANs, you might want to consider water cooling your gaming rig, heat dissipation while more stable at higher temperatures does not match the instant bite water delivers under intense load. 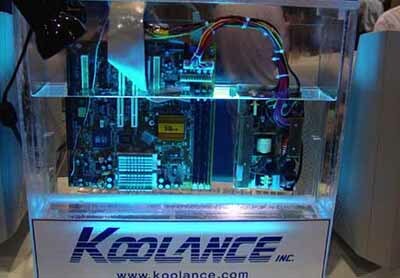 Do you have a mineral oil submerged computer? 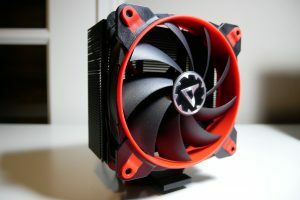 – Let me know in the comments I would really love to hear your people s experiences and what you think about it compared to the old-fashioned heat sinks, liquid cooling or phase change builds. Don’t think I’ll be doing that, I like my over clocked pc. I was hoping it might be a good way for silent cooling. Does have a wow factor tho. It has the wow factor but for me its not worth it especially for an overclocker. Yes its more stable once it reaches a certain speed, but it does not carry heat away as fast and when your overclocking and over-volting your CPU, we just need that instant cooling power. For a side project it could be laugh, I wonder how phase cooled oil would work?